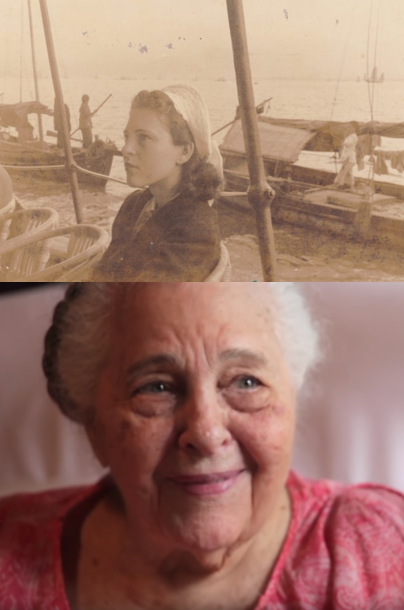 Top photo, Jessie Lichauco in the 1930s; today at 106 years old. “Curiosity, Adventure & Love,” a true-to-life romance set during World War II, is now available for digital distribution. “Curiosity, Adventure & Love” weaves together three threads — the life of a 105-year-old American who journeys to the Philippines alone in the 1930s at age 18, the history of the country that she has witnessed, and the insights and wisdom of a woman whose indomitable spirit has evoked inspiration for the thousands who have known her. Sitting alone in her 250-year old Spanish colonial home, Jessie Lichauco’s poetic soul shares stories of a life guided by fate, where her innate sense of adventure, curiosity and compassion for others knows no boundaries. Jessie’s husband worked for the Philippine colonial government lobbying for independence in Washington, D.C. and was among the country’s most prominent lawyers, allowing her to witness the rebirth of a nation. Bridging the past, the present and future, it’s an amazing journey of a century of humankind, of love and finding home, of the cruelty of World War II and a hostile occupation, and the rebuilding of a nation while living a life that restores our faith in the power of our own humanity. The Cuban-born Jessie acquired Filipino citizenship in 2012 by virtue of a law, many years after her husband Marcial Lichauco died in 1971. The law recognizes her social contributions to Philippine society. The film was co-produced and co-directed by Lichauco de Leon and Suzanne Richiardone. It was co-written by Lichauco de Leon and Justin Weinrich.